Citizen Jake premiered in theaters just a few days ago and already, it’s garnered quite a buzz–but not for the film itself. 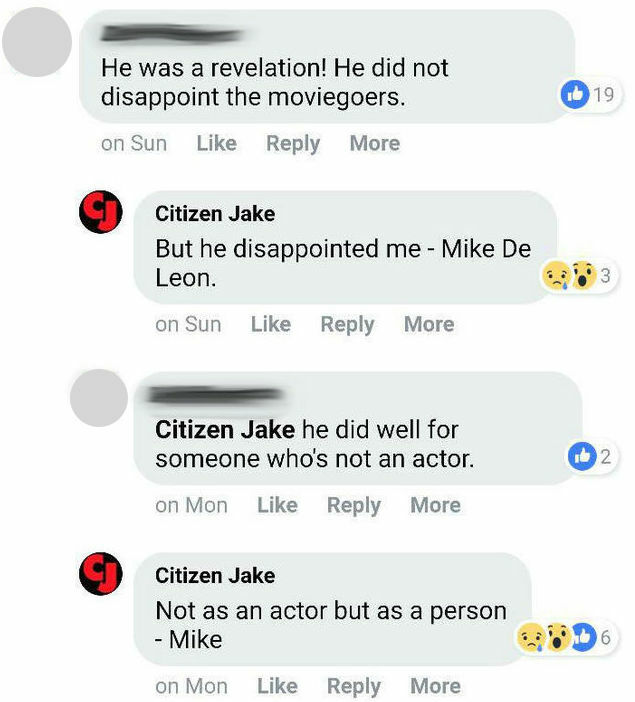 You may already be familiar with the issues surrounding the film’s director, Mike De Leon, and main protagonist, Atom Araullo, after a post that was published on Citizen Jake’s official Facebook page. May 30: At 8:36 a.m., Araullo addresses and responds to De Leon with a Facebook post of his own. May 30: At 1:56 p.m., De Leon responds to Araullo with another lengthy post. 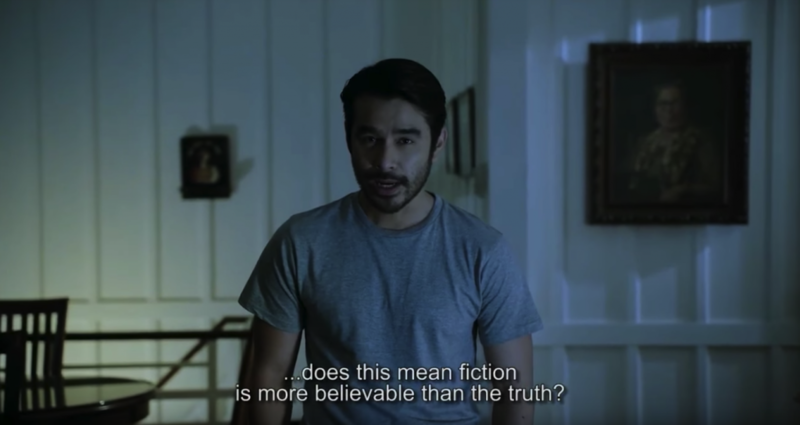 To note, De Leon was adamant about getting a “non-actor” and journalist to play the meta role of Jake Herrera, which is one reason why he approached Araullo despite his inexperience. Many questioned De Leon for criticizing Araullo and came to his defense; it was, after all, his first time pursuing a major role in a film. The director later clarified in a comment that he was not disappointed in the acting, but rather, in his character. Initially refusing to comment on the issue, Araullo stayed silent until finally responding through a Facebook post of his own, which was published early morning of May 30. Despite claiming that he did not want to “besmirch Mike’s reputation,” his statements may lead others to villainize De Leon who, let’s not forget, is 71-years old. De Leon was quick to respond with an equally lengthy post (again published on Citizen Jake’s Facebook page) just a few hours later. The whole issue seems to be a battle of egos. At the end of the day, only De Leon and Araullo know what really happened, but even so, are subject to their own biases. Regardless, their Facebook exchanges are sure to make great press.